In sequential order, Preset 1 - Preset 12. Please click on the image to load a live example of each style variation. 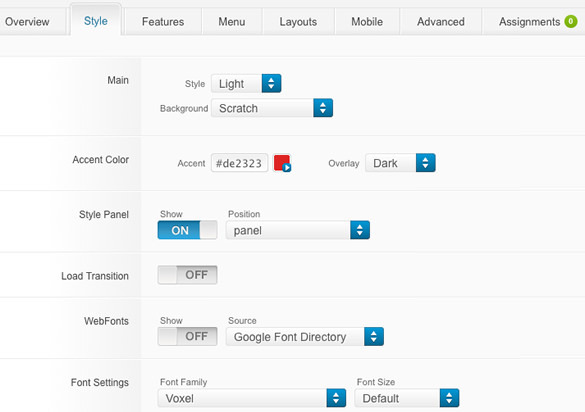 The Style Settings panel in the Gantry based theme administration interface provides several options for configuring the main built in stylistic aspects of the theme.